. Pilgrimage to 22 famous Shrines 名神大社二十二社参拝 .
. Pagoda - too 塔 Pagodas of all kinds . The shrines are located in Kyoto, Nara, Mie and Osaka. The title myōjin 明神 as applied to Japanese kami is believed to evolved from an earlier term myōjin 名神 ("eminent kami"), which was used in ancient works like Engishiki to refer to kami of particularly noteworthy power. 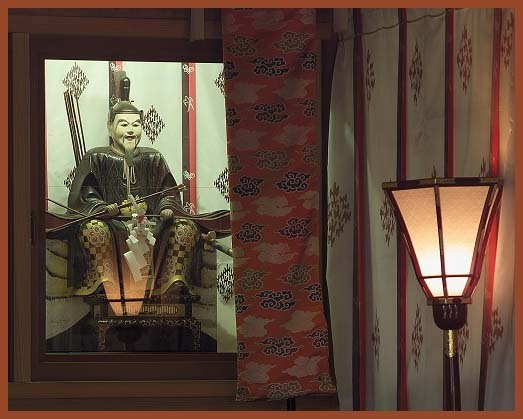 Under the influence of the homophonic myōjin 明神 ("shining deity") found in Chinese and Buddhist texts, the latter character combination came to be applied to indigenous kami as well.
. Myoojin, Myōjin, Daimyoojin 大明神 Great Shinto Deity .